There are many obstacles to getting a good education in Jarso. Parental and community awareness about the value of education is low. Fewer than 60% of local children are enrolled in school, and schools do not adequately emphasize reading, writing and numeracy skills. There are few libraries, and a lack of appropriate reference books. Math and reading grades are low, especially among children from the poorest, most vulnerable families. Families who cannot afford to educate their children give priority to educating boys over girls. Parents are reluctant to send their daughters on a long walk to school because of safety concerns, and schools often lack adequate toilet facilities, so girls have to share latrines with boys. Many orphans and vulnerable children work rather than attend school. Due to a lack of awareness about disabilities, disabled children rarely have an opportunity to attend school. Malnutrition is a huge challenge in Jarso. Few families have learned about the importance of dietary diversity, exclusive breastfeeding, or vitamin and mineral supplements. Many pregnant women are anemic. 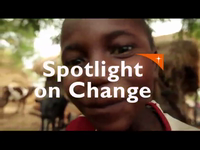 More than 40% of children experience stunted growth and more than 34% experience wasting. Jarso's high child mortality rate--122 deaths in 1,000 children younger than five years old-- is tragic. Sick children rarely get timely health care. Immunization coverage is poor, treated mosquito nets are not used consistently, and pre- and postnatal care is insufficient. Unfortunately, hospitals lack ward structure. In many cases, women give birth alongside patients with infectious diseases. Traditional birth attendants are inadequately trained, and pregnant women do not receive the information they need for safe pregnancy and delivery, or the proper care of infants. 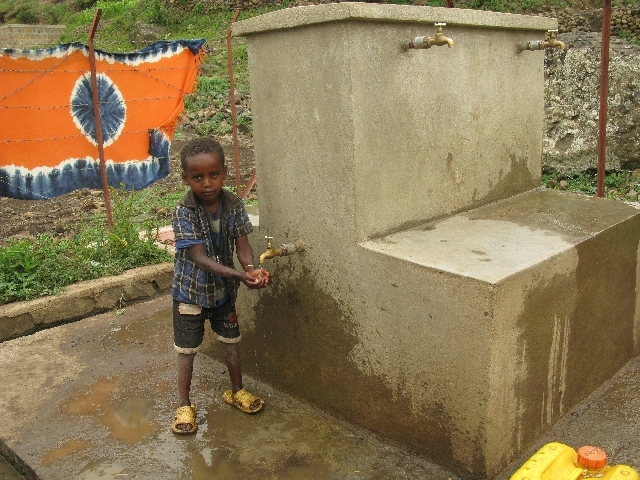 Poor sanitation and hygiene worsen this situation. Chronic malnutrition and poverty affect more than 60% of households in Jarso. For six to nine months of the year, children often have just one meal a day. Poor farm production is to blame. Low crop yields are caused by several factors, including the lack of arable land, unreliable rainfall, soil infertility, and the high cost and unavailability of seeds and tools. Crop pests and livestock diseases further worsen the situation. HIV & AIDS HIV and AIDS is a prevalent concern in Jarso. There is a lack of awareness about the disease, as well as poor counseling services and testing facilities. A widespread stigma still exists around HIV & AIDS, and there is rampant discrimination against people living with the illness. At the moment, the community of Jarso is highly vulnerable to natural disasters, such as drought and flooding. This stems from a lack of education about coping strategies, as well as a need for improved community organization. Young people also lack relevant skills training and capital to create opportunities for themselves. Youth unemployment is widespread. Few people have sources of income other than farming. Fewer still have access to credit, business training, or markets to sell their products. Mothers spend much time and energy trying to generate income through petty trading or selling firewood, but they must walk very long distances to do so, often up to six hours per trip, which detracts from the productivity of their efforts, and also impacts the time they spend caring for their children. Establish reading rooms equipped with appropriate books. Train teachers to build literacy and math skills. Establish parent-teacher associations, children's clubs, and rewards programs for successful teachers and students. Train school supervisors to encourage academic success. Promote the importance of staying in school, especially for girls. Ensure that disabled children can access school buildings and appropriate curriculum. Provide fraining for mothers in dietary diversity, food preparation, and appropriate feeding practices. Teach health workers about the importance of iron supplements, vaccination and mosquito net use, major diseases, common injuries, and prevention strategies. Run workshops to enhance pre- and postnatal care. Help build and equip separate wards for pregnant women. Provide training in proper hygiene. Teach farming groups about improved livestock breeding, beekeeping, and high-yield fruit and vegetable crops. 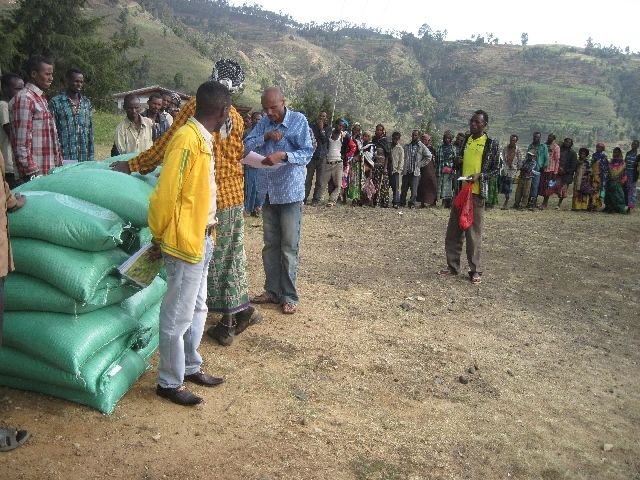 Provide seeds and livestock, the benefits of which can be passed on to other needy families in a revolving fund. Provide training in viable crop production, dairy and poultry raising, composting, and pasture management. Foster a culture of care for orphans, vulnerable children, and people living with HIV and AIDS to fight stigma and discrimination. Train health workers in voluntary counseling techniques and testing services to help prevent mother-to-child HIV transmission. Provide risk-reduction training so people can cope with natural disasters. Improve the environment through land rehabilitation programs, training in soil and water conservation, and tree nurseries. Provide entrepreneurial training for youth to give young people a better start postgrad. Form youth self-help groups, support them to start businesses, encourage local co-operatives to train youth, and provide access to micro-loans. Train parents in income-generating activities. Support parents to start their own businesses, and link them with savings and credit programs, and larger markets.